Happy National Ink and Toner day! 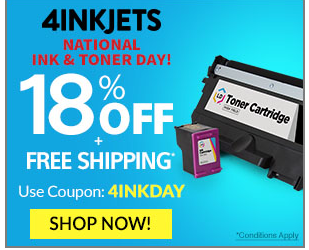 Use coupon code 4INKDAY and save 18% off Ink and Toner plus enjoy Free Shipping at 4inkjets. This offer excludes branded ink/toner.